According to data from The Food and Drink Federation, the sector is the UK’s largest manufacturing sector, accounting for 16% of total manufacturing turnover. The sector employs over 400,000 people and has over 6,600 businesses – 96% of which are micro to medium-sized. It’s also one of the UK’s best performing manufacturing sectors: annual gross value added (GVA) to the UK economy is £22Bn, almost as much as automotive and aerospace combined. In the last decade, annual exports have doubled, to around £13bn – bucking a decline in total UK exports. Productivity too has increased by 11% over the last five years, compared to an overall UK productivity increase during the same period of just 0.5%. Skills shortages and an ageing workforce means the food and drink sector needs to attract around 120,000 new recruits over the next decade. In common with other UK manufacturing sectors, it is finding it increasingly difficult to recruit the high calibre, skilled workforce it needs to drive innovation, particularly engineers and scientists. And while productivity growth is ahead of the average, it still lags behind manufacturing sectors with smaller workforces and greater levels of automation, such as automotive and aerospace. GVA per employee is higher than many of its European counterparts, including Germany, Italy, Spain and France, but is still less than half of that in the US. Productivity growth has also experienced a slowdown since the global financial crisis of 2007-2009, as investment in automation has stalled and falling output has not been matched by reductions in labour hours worked. But, according to Andrew MacPherson, industry sector manager, food & beverage, at Festo if Industry 4.0 is to deliver smarter machines and factories, it will require leadership and vision, as well as an army of knowledgeable staff – and this is not helped by either the skills gap or a looming leadership vacuum. “As the workforce ages, a potentially cavernous gap is opening up behind experienced leaders and skilled workers, exacerbated by industry growth and change, as well as skills shortages. Potential solutions might include re-training and upskilling existing staff, as automation impacts processes, or helping others migrate and re-train from other sectors,” he says. As advances in intelligent connectivity and automation technologies offered by Industry 4.0, the Industrial Internet of Things (IIoT), and smart machines and factories begin to be realised, the UK’s food and drink manufacturing industry has an opportunity to make a major productivity step change. Understanding how to maximise this golden opportunity to grow and develop through better plant, productivity, process and people will be crucial. 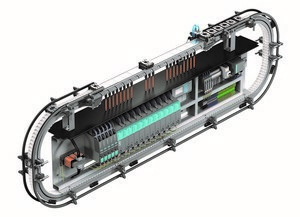 For example, a recent collaboration, combining linear motor and mechanical guidance technology from Festo with Siemens’ extensive controls expertise has created an adaptable, modular transport solution, the Multi-Carrier-System (MCS). Easily incorporated into existing production and packaging environments, it addresses an acute need for flexibility in modern manufacturing environments, driven by increasingly complex product diversity, shorter product life cycles and growing levels of mass customisation. 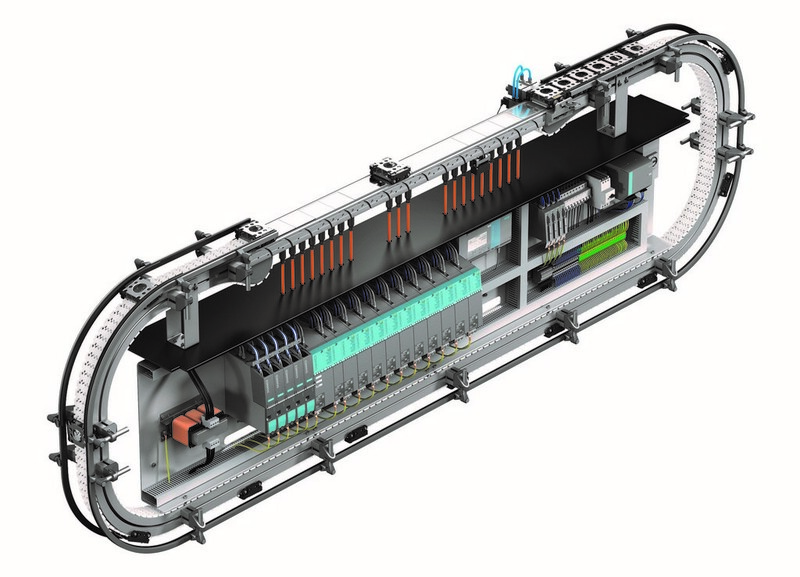 Its configurable linear transport rail can be integrated into existing intralogistics and standard conveyor systems, with precise synchronisation and seamless infeed and outfeed of transport carriers. 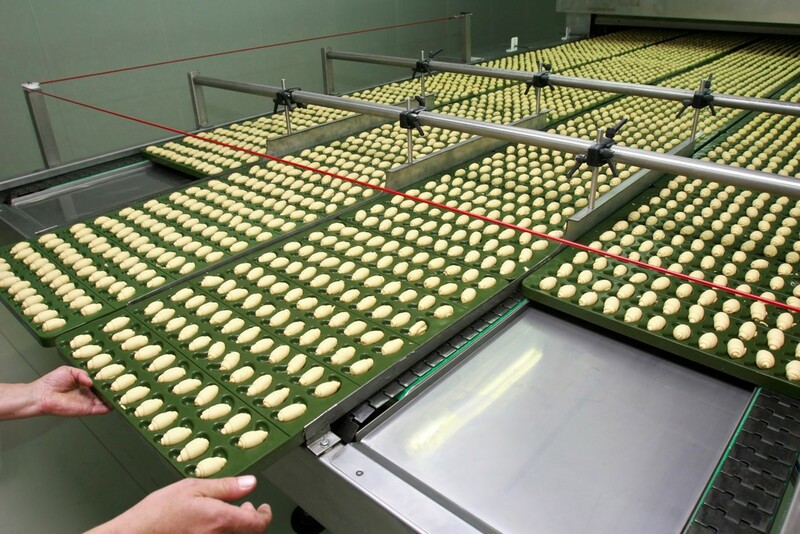 Movement of carriers can be rapidly adapted to deal with different formats, sizes and types of product – down to batch sizes of one, or even to handle seasonal variations. 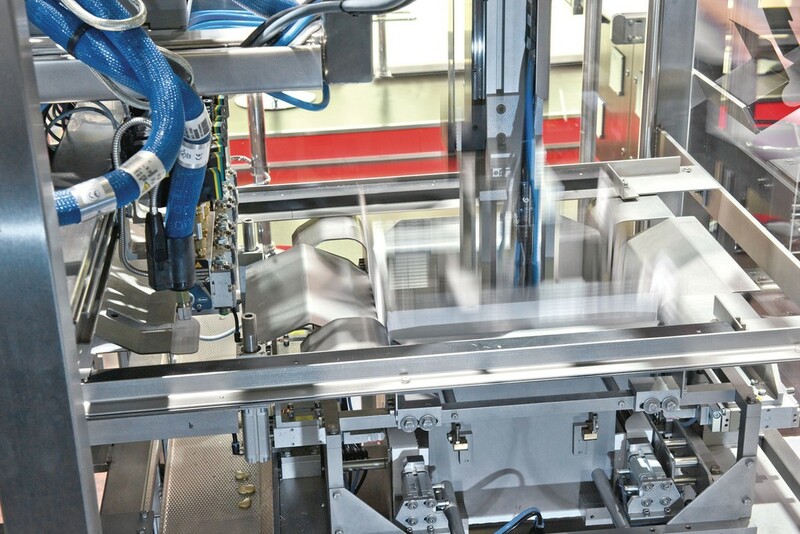 Over at Lenze, Implementing machine automation in food and drink manufacturing is being looked at particularly in terms of meeting demands for speed, agility and availability. Machines are becoming more complex, with a larger number of motion axes in order to reduce cycle times, accommodate multiple product configurations and drive up quality. Industry 4.0 requires them to be smarter too: equipped with more sensors, capable of collecting and processing more data and able to communicate with a greater number and variety of external systems. At the same time, their customers are pushing for shorter development lead-times so they can capture new market opportunities as they emerge. 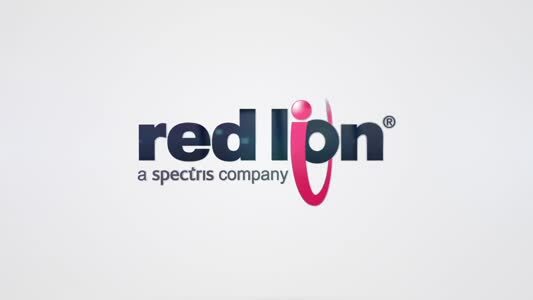 They want simplicity in operation, minimal maintenance requirements and responsive service and support. Finally, pressure to keep capital and operating expenses under tight control means costs are always under scrutiny. Responding to those challenges requires OEMs to make smart choices about the components and technology platforms they use. According to Lenze, system providers may want you to use technologies that they are familiar with or have within their portfolio, but sometimes a simpler solution is the best. Take servo drives as an example. They work brilliantly in highly dynamic, accurate high speed motion applications. 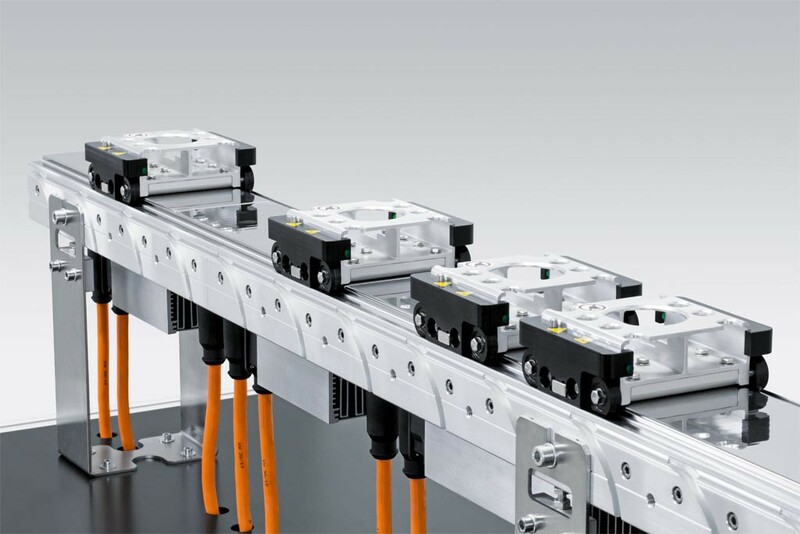 However, increasing capability of conventional motors with modern inverter drives means that they can become the right choice for a large number of motion applications, at a significantly lower cost. 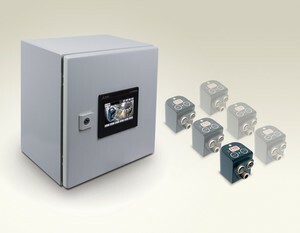 Operating motors at higher frequencies of 87 or 120Hz, for example, offer more power and a speed range up to 5 times wider than at 50Hz, close to the performance of a servo system. Through the provider offering the right technology choice, engineering time and costs can be saved. For example, simpler machines exploiting the control capabilities of inverter drives can eliminate the requirement for a separate control system. While there are undoubtedly pitfalls for the unweary, automation has huge potential and new solutions are being realised everyday. At the Bremen Centre for Mechatronics (BCM), for example, engineers are developing a robot to harvest asparagus, which could help reduce the price of this traditionally difficult to harvest vegetable. The basis of the harvester robot is a chassis with four wheels and a front-wheel drive. 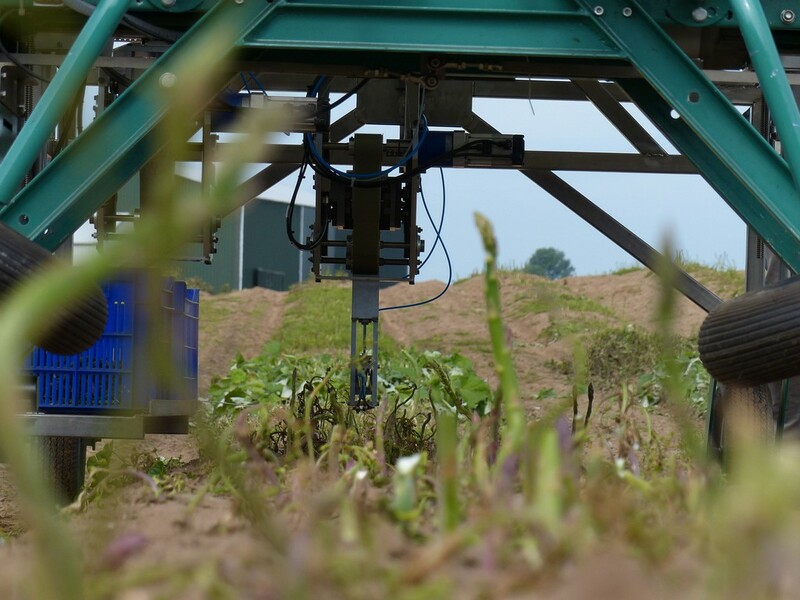 In the centre between the front wheels there is a camera system installed, which films the green asparagus stems as it goes past. Unlike white asparagus, green asparagus grows above the ground. Photographic processing software then identifies stalks that are ripe for harvesting. Software then guides the coordinates of the ripe samples further to the tool head, which is mounted under a hardened and precision-cut linear guide rail made of stainless steel from HepcoMotion. 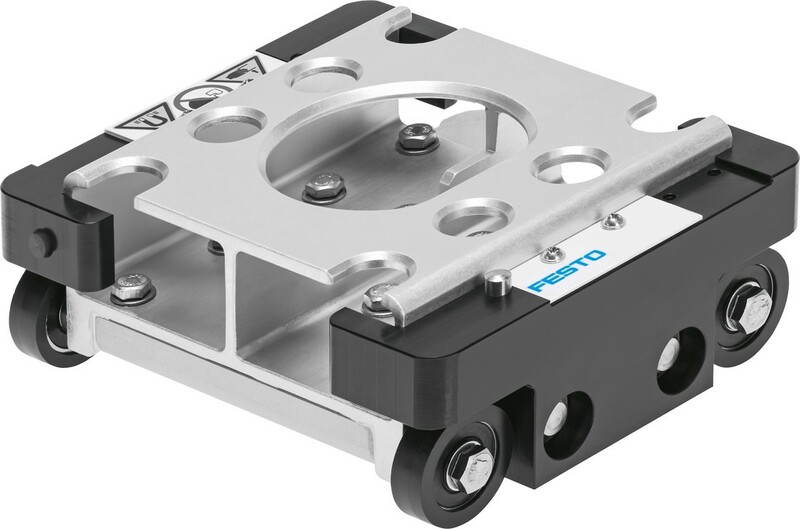 The tool head can travel across the full vehicle width from side to side on a timing-belt-driven carriage. 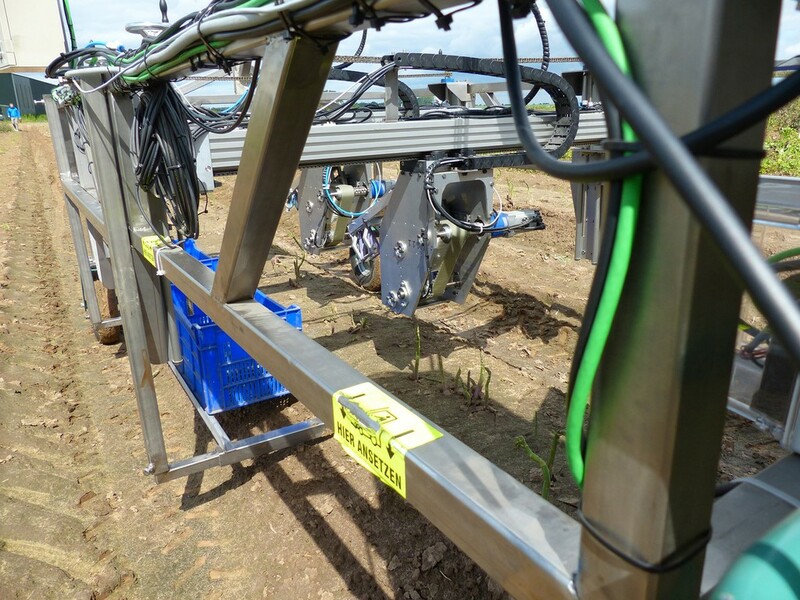 The harvesting robot works with two tool heads simultaneously, which can move on two rails positioned one behind the other independently of each other – enabling a high throughput. As soon as the tool head is positioned, it swivels a gripper arm from the back downwards. For this movement the engineers have used another HepcoMotion system: PRT2. The solution involves a spectrum of stainless steel rings and ring segments. They can be linked by straight guide rails to a diversity of open and closed stretches of rail. With the asparagus robot there are 90-degree bends on both sides of the tool head fitted with attached straight pieces. The gripper arm is screwed onto a carriage with V-guide bearings, which are arranged concentrically and eccentrically. These rollers engage from above and below with the induction-hardened V track of the ring segment. 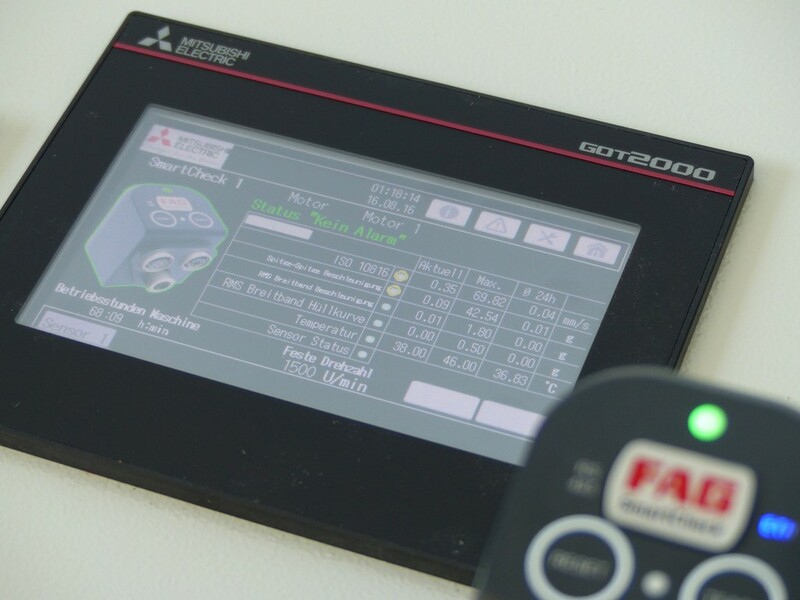 Further down the supply chain, Yorkshire butcher and meat supplier Sykes House Farm no longer has to worry about incorrect date codes after replacing a manual hand-stamping operation with an RF-Lite offline thermal inkjet coder from Rotech. Originally, the company was hand-stamping date codes onto sleeves destined for retailers. This was not only a time- and labour-intensive process, but also one that was open to human error. A date coding error that resulted in a costly product recall was the catalyst for Sykes House Farm to embark on a search for a more reliable solution for coding sleeves for packs of bacon, sausages and burgers. 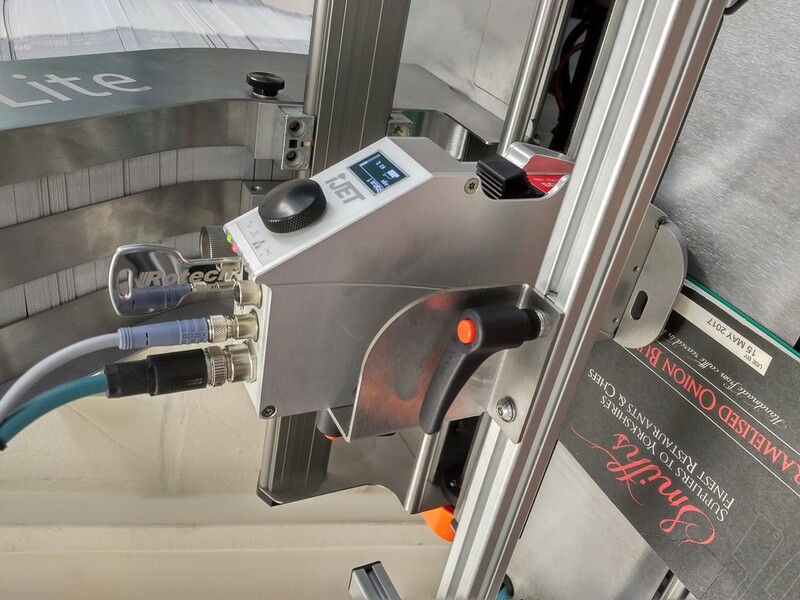 The RF-Lite selected is an entry-level carton and sleeve coding system that is ideal for food packers and processors who are looking to make the step-up from a manual coding operation. 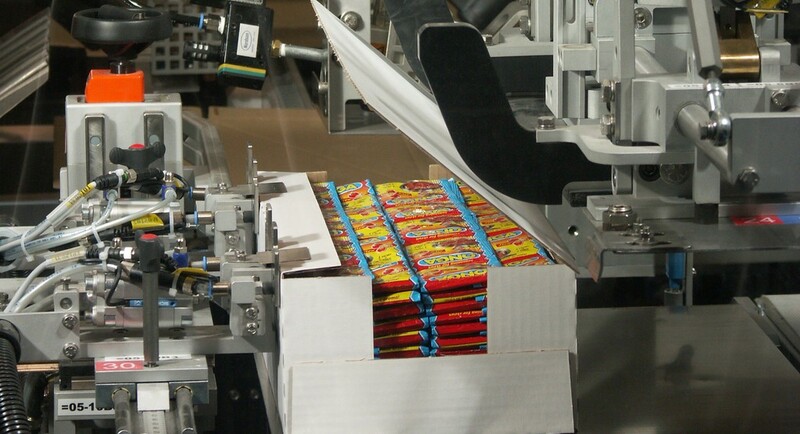 The unit takes flat cardboard sleeves or cartons from a hopper, feeds them through a printer so they can be coded, and stacks them again ready for use. The RF-Lite can handle pack shapes and sizes ranging anywhere from 40 x 70mm to 300 x 200mm and can be easily adjusted to swap between sizes. The machine’s linear speed is 60m/s, which means it can handle just under 200 x 300mm sleeves or around 250 x 200mm sleeves per minute, and all on a compact 500 x 500mm footprint. 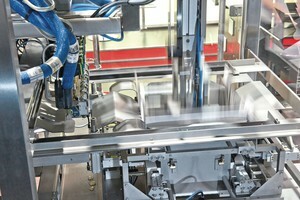 Another way in which automation is being increasingly utilised by the food and drink sector is condition monitoring. With recent developments in modern sensor technology, businesses can now engage in ongoing monitoring activity in a reliable and cost effective manner. As a result, asserts Chris Evans, Marketing & Operations Group Manager at Mitsubishi Electric, it has never been easier to avoid the catastrophe of unplanned downtime - the nightmare of production and maintenance teams across the food and beverage industry. 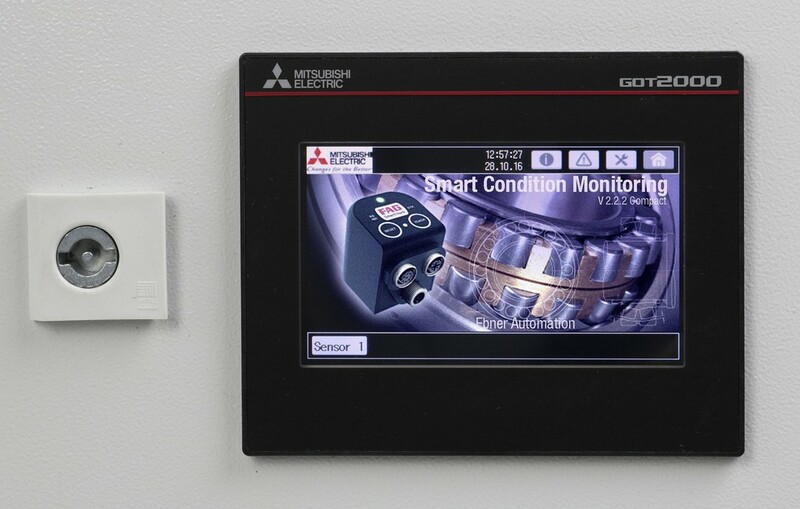 Smart Condition Monitoring, as this type of system is referred to at Mitsubishi, relies primarily on developments in sensor functionality, networking and the use of smart controllers to provide continuous monitoring. The solution can be used as a self-contained, stand-alone device (idea for feasibility studies or trials) or as a fully integrated system, allowing information to be transmitted across the factory for easy access via HMIs on the shop floor, to PCs connected to higher level data systems, or to mobile devices over local Wi-Fi, the internet or mobile networks. The crucial data analysis is performed on board by the PLC, so the system can be relied upon to transmit simple but accurate overviews or warnings to operators in real-time prior to any significant asset failure. 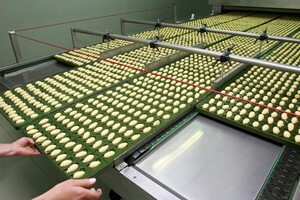 For the food and drink industry where profits or stock can be severely affected by unplanned downtime, an SCM system allows not only full condition monitoring to avoid failure but also the automation IT framework to synergise the use of maintenance resources in a cost effective and efficient manner. Developments in modern sensor technology mean businesses can engage in ongoing monitoring activity in a reliable and cost effective manner.